Souls can be, among other things, lost, saved, non-existent, or hearty, but do we make soul? If so, what does that mean? What then, is soul? Perhaps as it should be, I have puzzled for years at James Hillman’s use of the term “soul-making.” Now days, ideas about soul are sometimes dismissed as archaic. So if we are to understand a term like soul-making, shall we not first consider what the word soul itself might mean? Wiki describes soul as the incorporeal or immortal essence of one’s being. In animism, soul not only belongs to biological forms of life, but to inanimate (according to some western minds anyway) things of nature; rocks, rivers, mountains, trees, etc. In English, the word soul may have roots meaning to bind, referring back to a time when the binding of the dead was done in order that their ghost would not return to haunt the living. It is also related to words like anima and psyche, both which refer to the life force, breath, or consciousness that enliven and nourish, much as the umbilical cord nourishes the unborn in the womb of its mother. So, if soul is already a given, as an essence or a part of us, what are we making? Can soul have qualities of growth, depth or expansion? Does soul change, and if so, in what ways? For Hillman, through the study of world myths, esoteric traditions and the ideas of different cultures, he sees soul distinct from spirit with both being related to vertical movement. Here verticality refers to the motion between up and down; rising and falling, ascending and descending. We tend to associate ascension with all that is positive and desirable. We hear it in statements like: “at the top,” “climbing that mountain,” “rise above it,” “moving up,” “growing up,” or “upward mobility.” But is up the only direction that corresponds to the nature of our existence? Is it our only source of nourishment and how does ascension relate to soul? Do phrases like “going down,” “falling,” “hitting bottom,” “nose-diving,” reveal a preference for ascending over descending movement ? Hillman refers to this preference as the ascensionist fantasy. In his book, The Souls Code, Hillman uses the image of an acorn growing into an oak tree to return us to a verticality that values both the motion of descending and ascending. Forever ascending, where we are only going up and growing up, keeps us above it all, as if our embodied life on earth, with all the dirt, decay and stuff of life is no more than an obstacle on the path to spirit and the heavens above. Do not the roots and ground also provide necessary nourishment for body, soul and spirit? Does not gravity serve a purpose too? Hillman sees soul itself as a perspective, the means by which we become aware of not only that which is above but that which lies beneath us, unseen, the invisible roots that provide stability as well as nourishment. I like to imagine the ground and all that it holds – our past – for all that has gone before lies beneath us, and becomes food for the future. Remembering too, that we will someday join the long line of ancestors by becoming part of the soil for feeding future generations. Soul-making then is that which binds us to all things; the past, present and future, giving equal footing to both the physical nature of living beings and the faculties we have for thinking, feeling, loving and creating. In this sense, every thought, emotion, deed, birth and death matters through our participation in soul-making and the physical ground of our being; the earth and sky around us. Trees and plants in particular are great images for rootedness. As they move deeper down into the ground, they provide stability and nourishment as well as contribute to the creation of the ground of being. If this is true for trees, how much more so for us? Tending towards a love of flight, freedom of motion and lofty ideas myself, I can begin to see why it is challenging for me, not only to get a sense of what soul-making is, but to incorporate it into a day-to-day embodiment. Our awareness can abstract itself away from the physical, and often seem disembodied, an amazing thing about being human, I think. But, I have found for myself anyway that living in a way that disregards any relationship, whether an interior or exterior one, usually leads me towards neglect and a loss of potential for love, beauty and the profound mystery that life is. How fun to find such an excellent post this morning! So glad you enjoyed the post. Hope you’re enjoying some sunshine these days. In my esoteric Gnostic studies we were told that the soul is the 3% of consciousness that is the aspect of God Source energy that activates the physical body. Other traditions I have studied had different theories and I suppose this is one that we, as seeking beings incarnate, will continue to ponder. Thanks for sharing this insight and wisdom. PS: Sending roots deep into the core of Gaia is a visualization and process done in Qigong, and also now in my meditation group, where the energies are sent down and brought up, a really beautiful process that this reminded me of. Yes, that makes sense Sindy. The language may be different, but same idea. No doubt there are people way more grounded than I am, who wouldn’t necessarily be familiar with any esoteric traditions. A beautiful and thought out post Debra, I think if more of grew down to our ‘soul-roots, like that of the tree, we would indeed connect with our source.. Nature and all her bountiful beauty..
We have for the most part lost our connection with nature, as we have lost our ‘roots’ of who we are.. Instead many have become shallow living on the surface of their material existence disconnecting how they need Nature to thrive.. The tree image, I think, is a very powerful one to keep close to my heart. I have always loved trees! Perhaps our reach upwards depends on our reach downwards. No roots, no branches? I am fascinated by this insight. I am a huge fan of Hillman’s work. His insistence that we “stick to the image,” and let it speak to us is quite powerful. So glad to have met you here and am enjoying your blog very much! Sometimes I think the draw to what I read and write about very much correlates to my own need for remembering. PS – Hermes T also said: “The power of it is realised when it is reduced to Earth. … again, descend to Earth and unite together the powers of Above and Below.” So the bird or the dragon inside the glass retort rises and falls! So much wisdom, right under our nose. Our obsession with ascendancy has led us in to a tragic kind of detachment and other worldliness which I think has been profoundly harmful in our perceptions of ourselves and the world we live in. For me the word “transcendence” is a better one, especially in the way Ken Wilber uses it. It kind of welds together a sense of ascendancy with a sense of rootedness. As usual Debra, a wonderful post. Always deeply thought-provoking. Thank you. Yes, only recently has it occurred to me that perhaps the lack of rootedness leads us away from a love of our earthly home. I agree Debra. I think certain perceptions of “heaven” have had negative influences over our attitudes towards the earth and the earthiness of life. Love this. “Growing down” – the root descends as the shoot ascends! Without descent, no ascent. Without gravity, no growth. Without foundation, no cathedral. In my early journey I called it the Underbeing – the enormous interconnected living wealth of Hades, bursting up through everything like a child. 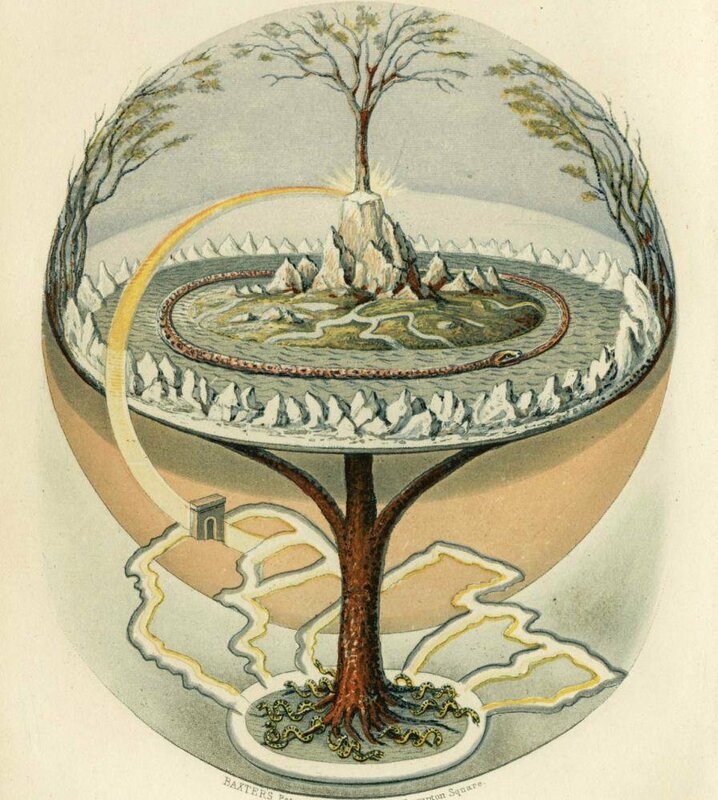 Your recent post about the Tree of Life was a wonderful expression of verticality. Pluto and his riches, who can resist? I really enjoyed this discussion, Debra. I realized I think of soul and spirit as having slightly different connotations, without being entirely sure of why that was the case. I’m still not sure of what I think these words mean, but the essence of what is being said, I think, of needing to have downward movement, to be rooted in and present to the experience one is having, makes a lot of sense to me. There is a sense in which I don’t see the downward and upward movements as being contradictory, as when attentiveness to richness hidden in the everyday reveals the expansiveness in which all of life is held. That’s almost like the upward and downward movements intersecting. There is a suggestion here that ‘spirit’ is perhaps our changeless, eternal nature, but that the engagement of spirit with the elements of a living world produces something new- that ancestry of which you speak, the ‘character’ of things, and a rich soil of memories and experiences that, like vessels, carry meaning we place in them. Spirit exists before and after these things, is expansive and unlimited, but while spirit is here, soul-making sounds like building beautiful artifacts, forging relationships, painting the walls of the dorm room in which we’ll be staying. This is kind of what I take away from your discussion of soul-making. It makes sense, and sounds necessary to have a deep encounter with this life. I like this. I think ultimately, there’s a unity underlying verticality and there’s planty of movement between the roots and the heavens. Jung had this wonderful notion that there is, one a deeper level,what he referred to as psychoid, a place where our biology and psychology mingle, deep in the body and although unaware of this mingling, we are lived by its effects. I think neuroscience might agree, but I have not read nearly enough to say much more about that. I do find it fascinating, just one more instance of unity that is already present even when we are unaware of it. Great thoughts on spirit as essence! I cna imagine spirit as a purity of knowing which doesn’t know itself, yes? Embodiment then, gives opportunity to know existence, to articulate and give expression to the universe through physical existence. Thanks so much for your inspiring thoughts! The psychoid sounds really interesting. It brings up a question I didn’t ask the first round, about whether Hillman or Jung had any thoughts about the notion of our possessing a beingness, call it a spirit if you will, that is immaterial in nature. The psychoid sounds like a place where the immaterial and material aspects of our beingness might somehow affect their mutual influence. Or perhaps I am reaching too far. I don’t fully understand the thoughts of Jung or Hillman, so I am certainly reaching out of turn. In A Course of Love, Jesus speaks of our “access to Unity” as a “physical portal” that if scientists knew what to look for, would be able to find, even though it is ultimately a doorway of sorts between what is timeless and immaterial, and what is physically expressed. Sounds kind of like the psychoid, but I often find these different areas of my life where one can say, X sounds like Y, and yet neither are really clearly defined or understood. I think sometimes there are false connections found in dwelling on the issues with precision, but when we step back and look at the big picture, we find many ways in which a common truth has found expression. Good questions about Jung and Hillman’s metaphysical positions. In Jung’s Red Book, he journaled about his, what might be called today, psychotic breakdown, in which he encountered many beings through waking dream states. Perhaps because these beings were engaged while he was fully conscious, it would be hard for him to ever discount a metaphysical or non-material world. He also considered his work scientific, but phenomenally based, and I think perhaps he walked a fine line in his day in which he did not want his findings about psyche discounted on the grounds that his research involved too much metaphysical speculation. So, he stuck to the influence of encounters with dream images and psychic phenomena and left it at that. Now days, the officialdom of psychiatry does not look kindly at Jung’s work. So, he was born at the right time! Hillman’s position is more difficult to pin down, which I believe is exactly fitting to his character. It seems he didn’t want ideas of soul to serve a metaphysic, but to serve the need and importance of soul for the world as we experience it. I’ve read that after an encounter with David Bohm in person, he acknowledged the need for a metaphysical praxis to counter the “nothing but” view of modern science which has permeated the psyche of us moderns. For myself, I am hugely interested in the topic and have done a lot of reading on NDE’s. I sense that they point to a reality that does not rely on a physical body to be experienced. Clearly though there is, for most of us, a huge thick barrier between this mode of existence and any other. Any means we have to access another mode, necessarily happens through the medium of our physical bodies. Jung’s notion of psychoid is helpful, especially when reading about recent findings in neuroscience, something I find very interesting and am currently studying and writing about. To speak of brain functioning, concluding that it is a mechanical, mathematical system while forgetting that your own awareness is the medium in which you come to any conclusion is problematic. A point is reached where we can say no more, we’re speaking through the function we are trying to speak about. It’s a self-referential loop, as Douglas Hofstadter so aptly discussed said in his book, The Mind’s I. It seems obvious to me that intelligence pervades the universe when we define intelligence as self-organizing abilities. So, for me, it’s not much of a leap to see that what we call consciousness is a form of self-organization. The nature of intelligence and consciousness, or awareness beyond the living, breathing bodies that we are, remains a bit mysterious, but I believe is there, in some shape or form, and I am okay with that. Well, thank you for such a great response. I am so glad I asked! I only wish I wasn’t trying to dig into this at the end of a long day when my psychoid is dimming the doorway in favor of cellular renewal. I am continuously amazed at the various “threads” alive on this planet. I really don’t know much about Jung, but what you describe sounds really interesting. It reminds me a bit of Walter Russell’s experience around the age of 40, when for approximately 40 days he experienced waking visions, saw the periodic table of the elements as octave structures of dancing light, received all sorts of artistic and scientific inspiration, etc. His wife thought he was going crazy, and called the doctor, who confirmed he had lost his mind, but only noted it was quite intelligible and fascinating material. Best to leave him to it, and take him for walks once or twice during the day… 🙂 That was probably in the early 1900’s. I don’t know the context of Hofstadter’s book, but if one begins with the premise that the experience of mind is rooted in the workings of matter, it indeed becomes a self-referential conundrum. But, my stance is that the part of our mind that draws conclusions, and the part of our mind that RECEIVES conclusions are not quite the same. One, the latter, is the natural state we struggle to recover by occupying the former. So much of what I see as flawed logic at work in the world today is the product of a false initial premise. Were we to begin with the notion that the experience of consciousness is purely the result of physical matter, and be incorrect in that premise, then everything that follows would also be somewhat distorted, though we could probably build a logical system of thought that explained our experiences quite well with this starting point. But if it is wrong, then it is not a minor error, for everything would change, most importantly the basic notion of identity. And identity, I think, is perhaps THE fundamental issue of the world. Neuroscience is so fascinating, though. I read a book about the brain, and the way blind people could recover a semblance of sight by wearing a sock on their tongue covered with tiny electrodes, like pixels. The information from the pulsing electrodes was quite similar to the information flow along the optic nerve, and subjects were able to actually “see” images in their mind’s eye (albeit fuzzy), and eventually learn to recognize shapes and patterns and such. Apparently the mind never stopped looking for the signal, and when it found one of the right type, it rerouted the electric sensations of the tongue to the optic center of the brain for processing! I think the book was called “The Brain That Changes Itself” or something like that. It was about neuroplasticity. Really cool stuff! Love that you say identity is the fundamental issue. Absolutely! I think Hofstadter was pointing to a severe limitation in our ability to get outside of our awareness to see our awareness. I like to think that there is a point where matter and what we call spirit are different states of being, sort of like ice, water and steam. It’s fascinating that physicists now say that even the densest matter contains more space than substance. What then could psychoid be? I loved The Brain That Changes Itself! Yes, really cool. Amazing way to experience this embodied life. I am continually stunned by it all. Thanks Debra. 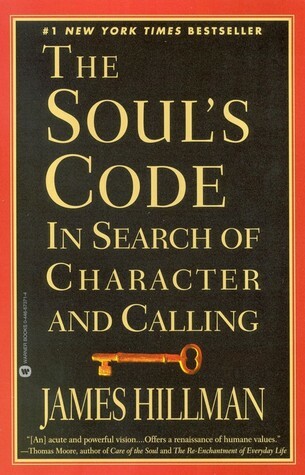 The Soul’s Code is my favorite and most accessible book by Hillman. His concept of growing down was a great antidote to the light polarized new agey ideas I had been exposed to once upon a time. Thanks for reminding me again why I love this book! At the time Soul’s Code was published, I did not have a tv and rarely listened to the radio. A friend of mine told me that they’s seen Hillman on Oprah’s show! I was so delighted that Hillman was getting some public acclaim. My favorite book of his is The Dream and the Underworld. Have you read it? It is sitting on my bookshelf. I’m pretty sure the reason it is there is from reading an earlier post of yours. Unfortunately I have yet to start it. Perhaps I will now knowing it is your favorite. Why do you love it so if I may ask? It’s one of his earlier books, but his ideas are very well put together. I think I like that his writing takes you to the underworld in a very powerful way. Not an easy thing to do for any writer. He shows clearly the difference between the perspective we have in our waking world and the one in the dreamworld. After absorbing the ideas in this book, there is now way not to see that in all we do, think and say, there is a fantasy involved. This is not a criticism or shown so we can get outside or beyond dayworld perspectives, but, rather, in order to create a bridge between the worlds. Bridging these worlds loosens our allegiance with the dayworld which then allows us to let go of a need to defend a particular perspective at the expense of others. My words cannot do the book justice, I can only say that it is a book, that when read, produces an experience in the reader that is at once frightening, as if the ground beneath us has been ripped up, and exhilarating as if one has traveled home after years of wandering. Beautiful post Debra – so happy to see you writing more here!! I too am very drawn to the idea of growing down, connecting to the Earth, and the earthly plane I suppose. Interestingly enough, as I believe Hillman called the influence of the monotheistic religions a “disaster” for the modern psyche, this idea of balancing the energy of the heavens and the energy of the earth came up in my Quran study group and in my later Sufi readings. There was much discussion of this idea of an ever present battle within you between the energy of the heavens (an electrical energy from the cosmos) and that of the earth (a magnetic energy from the planet). Balancing these two energies was treated much as yin/yang, etc. – an imperative to maintain your height in equal relation to your depth, for total interior balance. Having spent the majority of my Saturday in one of our gorgeous State Parks, feet on the dirt, laughing with a friend, this post is especially timely and meaningful. Thank you!! Yes, Hillman often wrote about the problem of monotheistic thinking and the tendency towards literalistic thinking which all came to a peak in the last few centuries that ironically, removed the gods altogether! On a greater scale of history, I’d like to think that all of these phases of discovery and trends are necessary because they’re possible. Ultimately though, I agree that polarization is an ever-present possibility, in all ages of human history and in all facets of our existence. Once you see the whole, instead of only seeing the two opposites as separated things, perhaps there is no longer a need to oppose them, but rather to see how they exist through cooperation and necessity. I like to think so anyway! You live in a gorgeous part of the world! Feet on the dirt with friends sounds like a wonderful time to me. Yes, yes and more yes. My interest in Islamic mysticism was derived more from nostalgic pangs to reconnect with my childhood home in the Middle East, and less to do with feeling a connection to the Abrahamic traditions…just give me some Arabic and I’m a happy camper!! I have often thought it no surprise that Westerners who grew up on literalistic interpretations of the One all-seeing Abrahamic God would find solace and even titillating excitement in New Age thought, Hindu Gods and Goddesses, Native ancestors and animal spirit guides… it seems a natural response in a way; a reactionary swing of the pendulum that was possibly brought on by Abrahamic thought?…Almost as if we are crying out to have our Gods and particularly our Goddesses back, to reclaim our archetypes! Speaking of Native American cultures, a good friend of mine is a Cherokee Native, and she addresses the Divine in her prayers as Mother Earth and Father Sky, another nod to the importance of growing up and growing down – at once. Thank you for exposing me to new ideas. While we may disagree at times, I still enjoy expanding my awareness and knowledge base. I wonder if the material plane is the fertile ground that nourishes us into the higher states? So much beauty and capacity for awareness that manifests here yes? I like to think that there is ultimately a unity between realms that we experience as separate. But, who knows? I am grateful for your sharing of your ideas and very much appreciate your willingness to share a different point of view! Thank you for being open minded. I see that my perspective is not the same as most of the commentors or yourself.I do not know the true answer and I am aware of all the beauty of the Earth, yet I sense it is all an illusion and laden with limitations and burdens. But like you said, who knows? Great post, and I agree, to begin, one has to get an idea of how Hillman used the word. I remember even reading Henri Corbin once, since Hillman referred to his work with its clear, three part image of “spirit-soul-body.” One time I poked around and found that structure present in some bible passages as well. That led me to think of the two part, present day image of spirit-flesh as a more recent construct, perhaps an Age of Reason thing. I know Hillman called it a disaster. Because yes, if you’re talking of an “immortal soul’ (spirit), then you’re speaking of something eternal, which cannot be changed, which cannot be made or unmade. There are enough 3 part structures enumerated in various religions, that I imagine Hillman’s image meshing with these, though he’d be outraged at the suggestion – soul as the astral or dreaming body. In short, I think of it not so much in the modern “eternal” church sense but what we refer to in saying, “Louis Armstrong had soul.” That can be made and shaped – gotta suffer to sing the blues, and so on. I also recall the experience of walking into the great European cathedrals – the people who built those embodied an experience of soul. Too bad it got lost along the way. Yes, let’s not forget that suffering makes soul, or the right kind of suffering. It is spirit that wants to leave the body, take off in flight. And those cathedrals perhaps become ensouled through the sweat and suffering of all who built them as well as all the tears cried within their walls. I don’t think I can imagine a future without suffering, but I can imagine one without soul. I am already a huge fan of this post. Beautiful summary and I am taking “growing down” with me today. I have been itching to write about growing down for awhile now. I could not postpone writing about it anymore! I hope you are having a fab day. It’s lovely here with the sun shining and warmer temperatures than we’ve had in awhile. It is beautiful here as well and, I really mean it, your post has been the highlight of the day. I am beyond flattered and most grateful for that Monika!